What’s the purpose of 4WD modifications and accessories? There is no end to the list of 4WD modifications and accessories on the market today. You can convert independent suspension to a solid axle, fit portal axles, remote reservoir shock absorbers, air tanks and 240V power. The only limitation is how deep your pockets are! That said, what’s the purpose of 4WD modifications and accessories? Why do so many people spend a small fortune doing their 4WD up? How many people actually sit down and think about their modifications and accessories properly, before spending money on them? When you want to modify a 4WD or add an accessory, do you stop and think about the reasons behind doing it? What do you want to achieve with each modification? In this post, we are going to look at what you should modify, the reasons behind doing it and how you can save a fortune doing it correctly. I have made many mistakes in the past modifying 4WD’s, and know plenty of people in the same boat. If you can learn from these mistakes, you’ll save time, money and stress. Why should you modify your 4WD? There are 4 things that I consider reason to modify a 4WD. If it doesn’t tick at least one of these boxes, it’s not worth doing (in my opinion). The idea is to build yourself a 4WD that does as much of what you need as possible. At the end of the day, you’ve bought a 4WD to serve a purpose. Modifications and accessories can make a 4WD much more functional, but you need to work out what you want from the vehicle. If you are using it for travel, modifications like LED strip lighting and rear drawers are a fantastic start. You’ll find very quickly that when something isn’t functional it will bug you, and you will want to do something about it. Anything that improves the way your 4WD fulfils your requirements is a functionality improvement. If you are having issues getting where you want to go, differential lockers will make a difference. If you can’t see out the back of your 4WD, a reverse camera is absolutely mint. However, bear in mind that with every change you make there are going to be some downsides; there’s no free lunch. At the very least its just the physical cost of adding an accessory, but think beyond that. 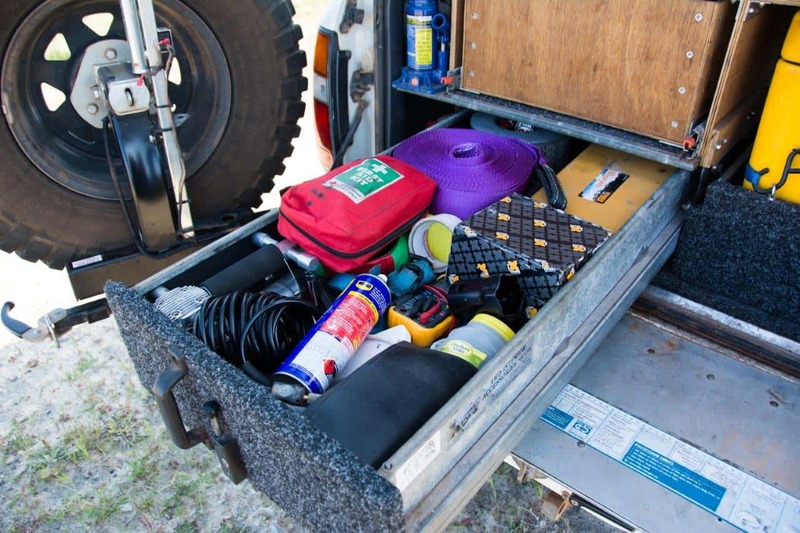 For example, if you install drawers they make your life much easier for storing things, but some of them weigh up to 100kg, and that’s a LOT of weight that you might not want to be adding to your 4WD. If you aren’t comfortable in your 4WD, then you aren’t going to enjoy yourself. 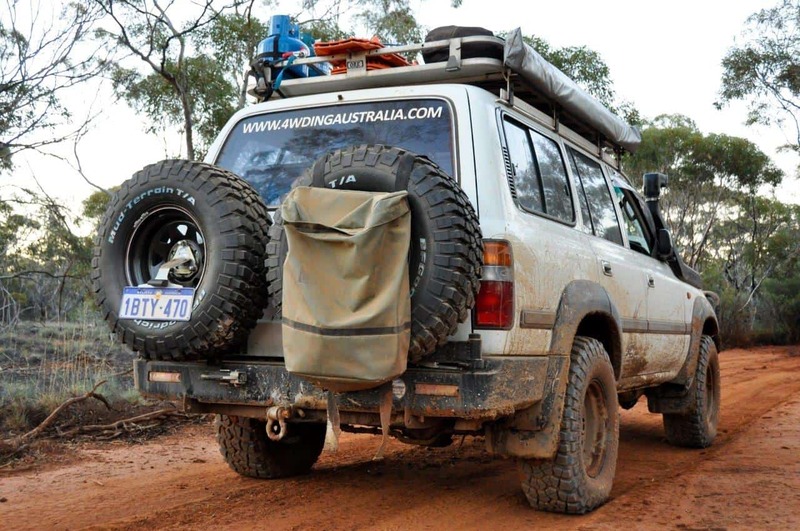 Modifications that make your travel or use of the 4WD more comfortable are well worth it. Aftermarket seats for long distance travel are the perfect example of improving comfort. A fridge as a centre console might be worth while if having cold drinks easily accessible is a priority. A water tank and electric pump make getting water much easier than dispensing it from jerry can’s, and that makes your travel more comfortable. Camping may have been awkward and difficult in the past, but there’s no reason why it should be today. Some modifications improve the safety of your vehicle. That’s important for you as the driver, but also any passengers. You’d be mad to load up the rear of your 4WD without a cargo barrier, for example. An accident could easily kill your passengers when things come forward. Bull Bars also improve safety if your chances of hitting a kangaroo or other wildlife are reasonable. Other safety accessories include a winch, so you are able to get out again, first aid kit, fire extinguisher and good quality lighting for night driving. Yeah right…Spend money on accessories to save money? Are you mad? There are several accessories you can buy which will pay for themselves in the long run. A long range fuel tank is the perfect example; skip the expensive, small fuel stations in favour of the cheaper, bigger fuel stations along your trip. I considered getting one before we did 5 weeks in the Kimberley, and it would have paid for half of itself in the one trip. I ended up leaving it as we were heavy enough as it was, without carrying extra fuel. Other items that will save you money include a snorkel and exhaust upgrade for better air flow and also reduce fuel consumption. 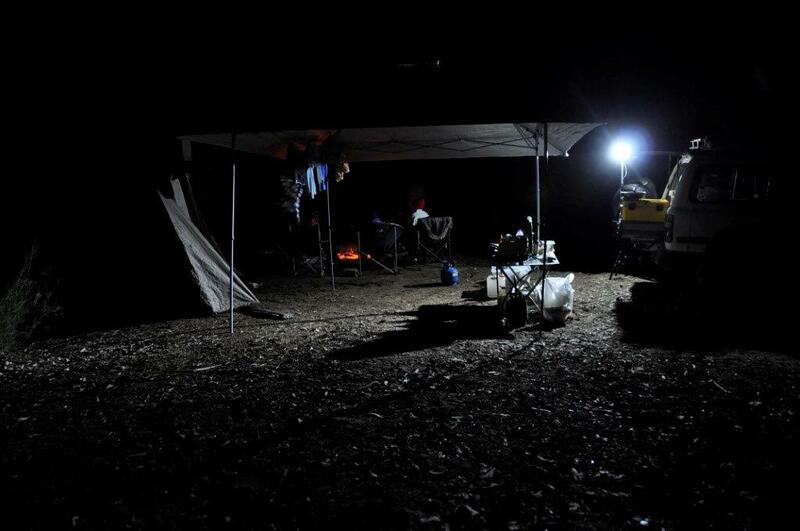 A camping setup that allows you to be self sufficient and free camp will save you an absolute bucket load of money. Fuel and accommodation costs are always the biggest in any trip, and if you can cut down on both you will be laughing. ECU Remapping and chips can improve fuel economy if done well, however be sure it doesn’t come at the cost of reliability! A brand spanking new 4WD from the show room is a beautiful thing. However, if you intend on taking them off road, they need some work. It’s a bit ironic that you buy a new 4WD and they aren’t suitable for much 4WDing! Tyres are an absolute must, and a proper snorkel if you intend on doing water crossings. From there, fit some rated recovery points and you are good to go. Beyond that, there’s a list of mods longer than you’d want to read about here! I wrote a post some time ago, covering 15 common mistakes to avoid when modifying your 4WD. Have a read; I guarantee you’ve done at least one of these in the past! Above all, a 4WD with every modification and accessory under the sun that never gets used is poor use of money. We live in a country which has some of the best places to explore by 4WD anywhere in the world; forget the long list of accessories and buy yourself some fuel, annual leave and have a fantastic time exploring.